Some of the most powerful narratives of the past decade have been produced by a forward-thinking generation of women photojournalists as different as the places and the subjects they have covered. 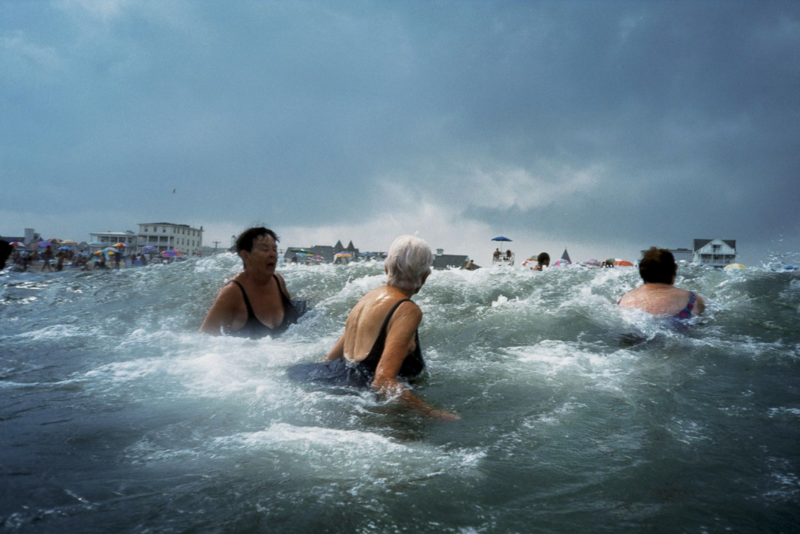 National Geographic’s Women of Vision: National Geographic Photographers on Assignment photo exhibit features the work of 11 photographers. A tribute to the spirit and ambition of these forward-thinking and distinguished female photographers and underscores the momentous work they have done to bring narratives from all over the world to the pages of National Geographic and into the homes of millions of people. Women of Vision: National Geographic Photographers on Assignment opens at Forest Lawn Museum at Forest Lawn—Glendale on December 11, 2018. Highlighting the influential photography of 11 award-winning female photojournalists, the traveling exhibition is on view in Glendale until April 7, 2019. 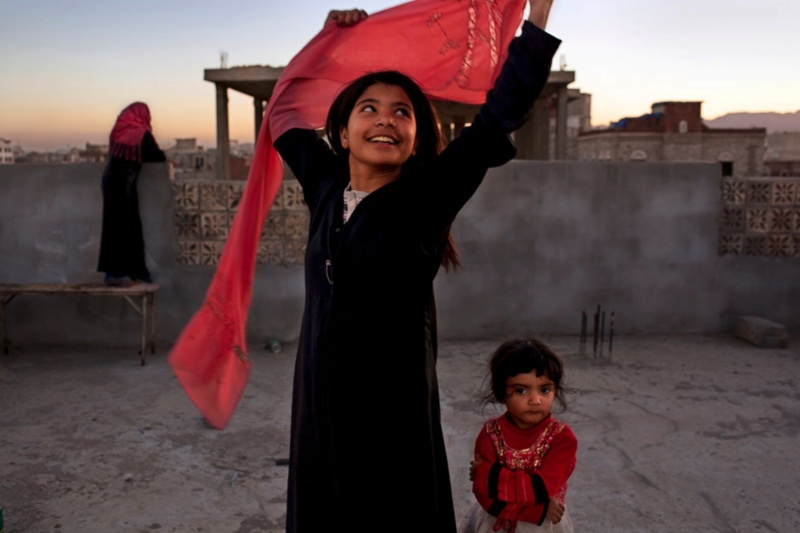 Nujood Ali stunned the world in 2008 by obtaining a divorce at age 10 in Yemen, striking a blow against forced marriage. 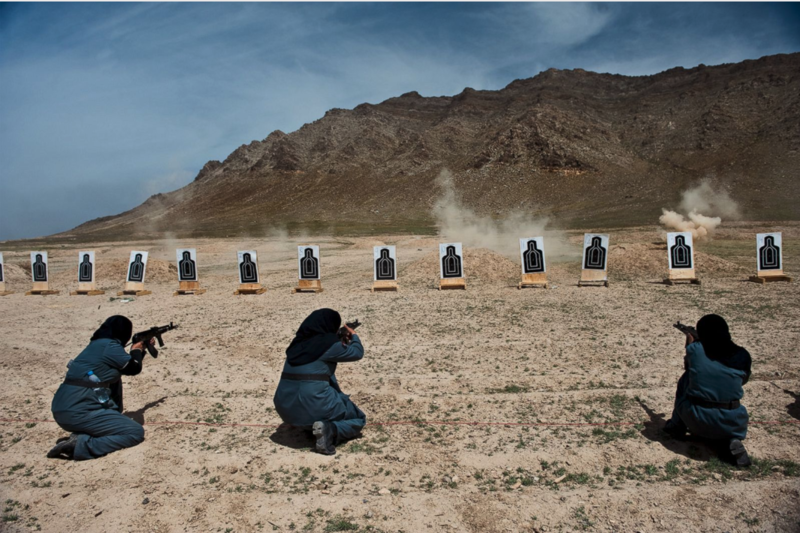 Women, mostly widows, train for police force jobs at a firing range near Kabul, 2010. Lynsey Addario: National Geographic. 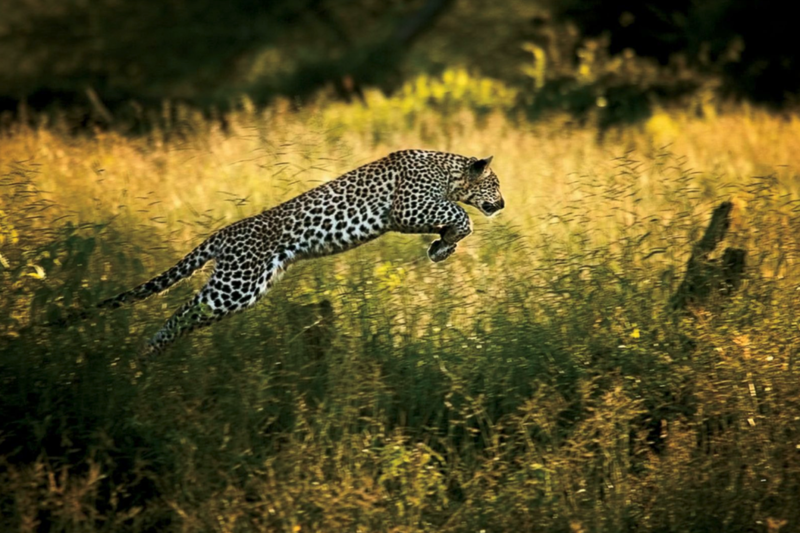 Women of Vision: National Geographic Photographers on Assignment is traveled and organized by the National Geographic Society. 1712 S. Glendale Blvd., Glendale, California. The Museum is open Tuesday to Sunday from 10 AM to 5 PM. Admission and parking are FREE. Call 323.340.4545 or visit www.forestlawn.com for more information. Founded in 1906, Forest Lawn has been a Southern California landmark for more than a century. With rolling hills, sweeping landscapes and a magnificent view of the Los Angeles skyline, Forest Lawn–Glendale is one of Forest Lawn’s most picturesque locations. It features a world-renowned art museum, extraordinary statuary and the Hall of the Crucifixion-Resurrection, home to Jan Styka’s immense painting, The Crucifixion, and Robert Clark’s Resurrection, two of the largest religious paintings in the western hemisphere.